[CHRISTMAS]. Newspaper. 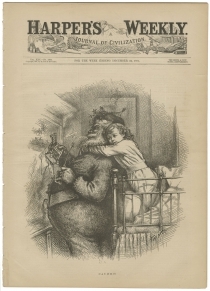 Harper’s Weekly, New York, N.Y., December 24, 1881. 16 pp., 11¼ x 16 in. 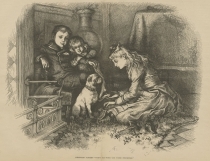 Kindly see “A Visit From St. Nicholas” - great association copy inscribed by Clement C. Moore for a legendarily scarce volume with a distinguished provenance. 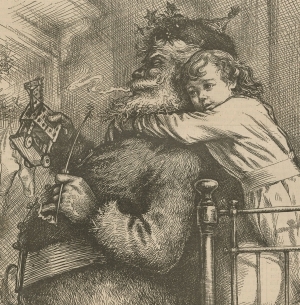 For information about the controversy over the authorship of the beloved poem linked above, see our article The Authorship of The Night Before Christmas. Very good. Some toning throughout. The last page is separated from the rest of the pages and there is a small, ¾ inch tear on the front cover margin, not affecting the art of text.